This semester, California Baptist University students were given the opportunity to have one last outdoor adventure before finals and the end of the school year. The Comm. 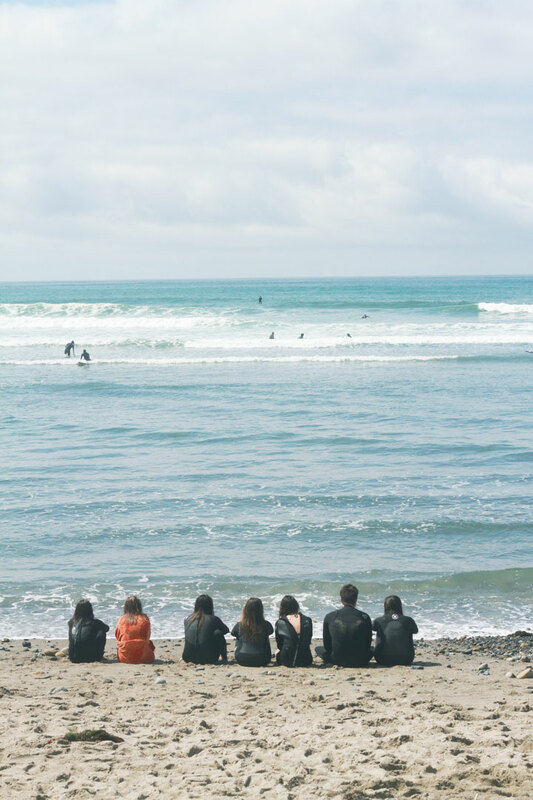 Life staff took approximately 40 students to the San Onofre State Beach in San Clemente, Calif., to “glamp” for the weekend of April 7–9. Students spent the entire weekend at the beach relaxing, surfing, swimming and eating a catered rotisserie pig. The food, transportation and camping equipment were all provided to the students. Tucker Carl, Community Life program coordinator, said this trip was different than other trips because of the time in the semester it was planned and the atmosphere of the activities. Jared Bitanga, sophomore software engineering major, said he heard about the trip through the Comm. Life office’s advertising and said it sounded like something he wanted to experience. Bitanga said his favorite part of the trip was sitting around the campfire with other students. Caleb Holcomb, sophomore graphic design and photography double major, said he was able to go on the trip because next year he will be serving as one of the outdoor adventure Comm. Life interns. “I wanted to get an experience of what the outdoor adventure life was like,” Holcomb said. Holcomb said he enjoyed relaxing on the beach and eating the catered Hawaiian food on Saturday night. The “glamping” trip is an outdoor adventure tradition The Office of Community Life said they hope to continue in the future and engage more students to give them an easy and simple way to experience the outdoors.